In 1918, William & Mary enrolled women as in-residence undergraduates for the first time, and they have been an integral part of the student body, faculty, and staff ever since. 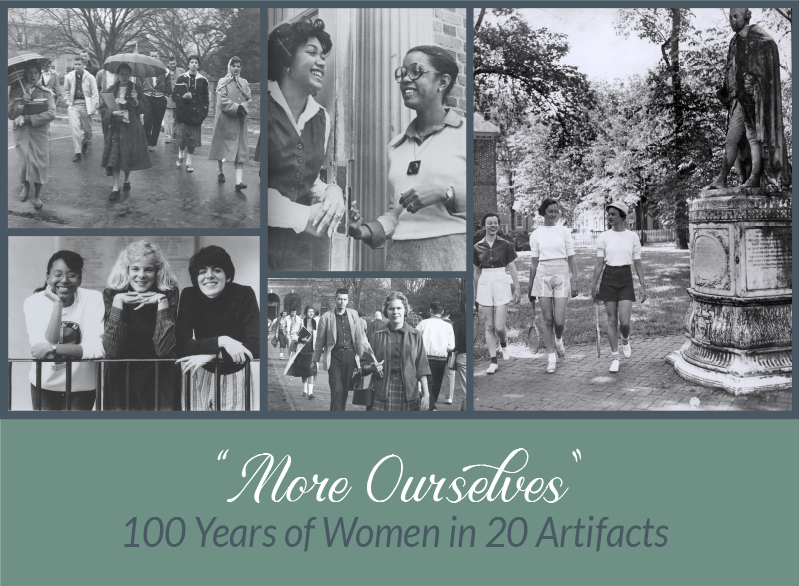 This exhibit highlights the history of W&M women through the artifacts they owned, created, and used during their time at the university. From spearheading awareness campaigns and founding dance groups to fulfilling roles in the administration, the women of William & Mary are involved in all of the aspects that make this place unique. The objects they owned and created reflect not only their aesthetic tastes but also let us see who they are as complicated individuals. Through the glimpses into lives that these artifacts provide, we can better understand and appreciate the changes and progress that make our university a more accepting place.